Following on from her earliest work, which captured colourful portraits of budgerigars and wild cockatoos, she has continued to photograph birds from all over the world. A series from 2014 conveys the intense character of birds of prey, many of which seem to face the camera without fear. In one shot, Trinity (the brown goshawk) stands fiercely with a puffed out chest, while in another, Mulga (the black-breasted buzzard) crouches angrily. The owls in this series appear to be a little more timid and sullen; in one image, Tani (the masked owl) stands with her back turned, rotating her head only halfway to partially face the camera. 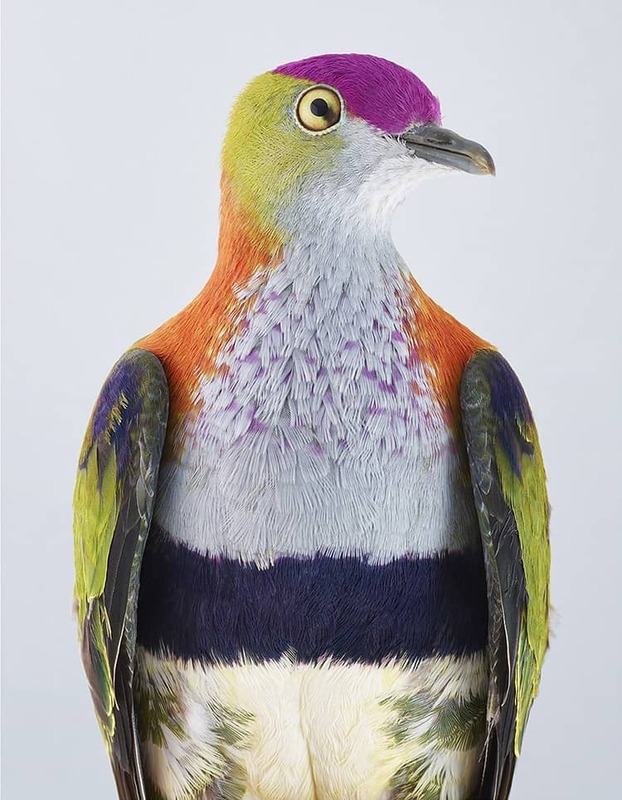 In her most recent work—entitled Ornithurae (meaning “bird tails” in Greek)—Jefferys’ focus is on multicolored pigeons, doves, and cockatoos. These vibrant creatures originate from exotic lands, such as the Australasia rainforests. The Superb Fruit Dove stands proudly wearing his purple crown, and the Emerald Dove exhibits lush green wings against a plumage of dusty pink. If you love these colorful, feathery photos, you can see them for yourself at Jeffreys’ current exhibition—entitled Ornithurae Volume 1— at the Olsen Gruin Gallery in New York City. It is open until November 12, 2017. You can find more of Jeffrey’s work on her website and Instagram. In Leila Jeffreys’ newest series—entitled Ornithurae—she captures the vibrant beauty of multicolored pigeons, doves, and cockatoos. …as well as shy owls. The post Photographer Captures the Diverse Beauty of Naturally Colorful Birds appeared first on My Modern Met.